This level has medium difficulty. 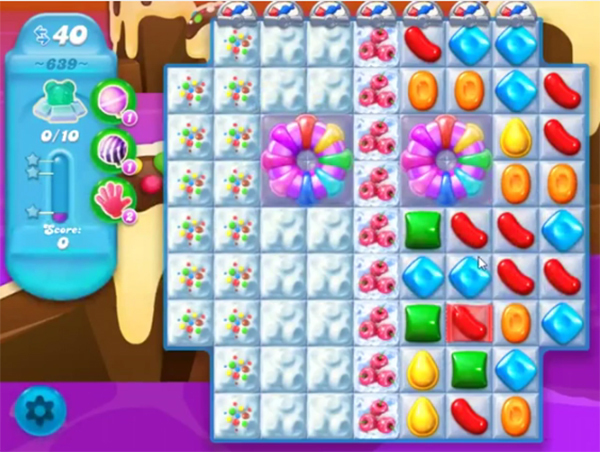 For this level try to play near to cake as it will help to break them blockers. Try to make special candy and combine with other special candy to break more snow blockers to find the bears. Or play near to remaining snow to find all bears within 40 moves. You have 49 moves…I only have 35 which is near to impossible to complete – help. Takes the fun out of it. I only have 35 moves not the 40 that it is supposed to have!!! I only have 35 moves as well. I wonder why? I only have 30 moves! Impossible to complete! I only have 30 moves, so how do I complete it? Have been at it for days now cannot do it!